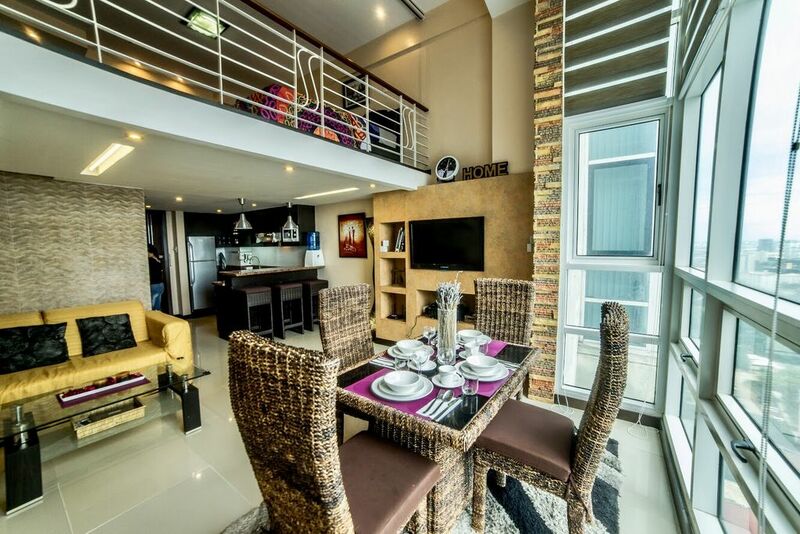 Super Cebu Loft with Seaview. A family home rental. grocery stores, schools, hospitals, Mangoe square., etc. They are just blocks away. We are in downtown area . One of the best location for Sinulog Mardi Gras. We are couple from Cebu with 2 lovely kids. Mostly, we are not in Cebu so we decided to share our place to those who wants to visit Cebu. We acquire this property because of the location and the accessibility of the place. We love the style and the spacious design which is very familial type. Ideal for big group of families and friends who wants comfort while on vacation with a nice seaview from the top. Downstairs is hot and cold shower rain. Upstairs has an cold and hot bathtub.